This post is a little late; I received this box a few days ago but was caught up with my masters degree thesis, unpacking some shipments from home, and catching up on some reading. I wasn’t really busy; I guess I was taking some time to enjoy myself and spend a little time thinking, which I think is really important to do. Anyway, let’s unbox! This month’s theme is “Viva Brazil”. Birchbox France costs €13 a month, with free postage to the regular Relay Point; I paid an extra €2 to have it delivered to my door. This is supposed to cleanse, repair, strengthen, moisturise, volumise, smooth, add shine and body, and protect from heat and UV light – that’s a pretty long list of claims! Personally, I’m sick of brands adding BB and CC to products and I get suspicious when they use it in names of products that are not foundations. We’ll see if this actually lives up to any of the claims. This is a 100% natural pure spring water spray. I guess it’s a nice thing to have in the summer – good for a quick refresh on the go. We got to choose which colour we wanted out of three and I chose the orange one called Heli because I thought it looked the most special out of all the colours. But I’m regretting it because it’s a little too bright and looks quite childish. The formula is also quite streaky. A dry oil for the body; I won’t be using this just yet as it’s still summer and it feels too hot and sweaty to be using oil. I’ll be keeping this to use during the colder months. I love masks! And I love getting masks in my beauty boxes. Can’t wait to give this a try. I was actually really excited when they sent an email earlier to ask us about the shades of nailpolish that I wanted; I’m glad that they did and that they sent the correct colours. That’s really good service to me, given that they are a mass beauty box retailer. But sadly, the nailpolish really let me down in terms of how it turned out. The rest of the products are okay… not that exciting except for the face mask. In terms of value, Birchbox never lets me down; the products are always more than worth the €15 a month. I’m just sad that the most exciting item is also the most disappointing item this month. 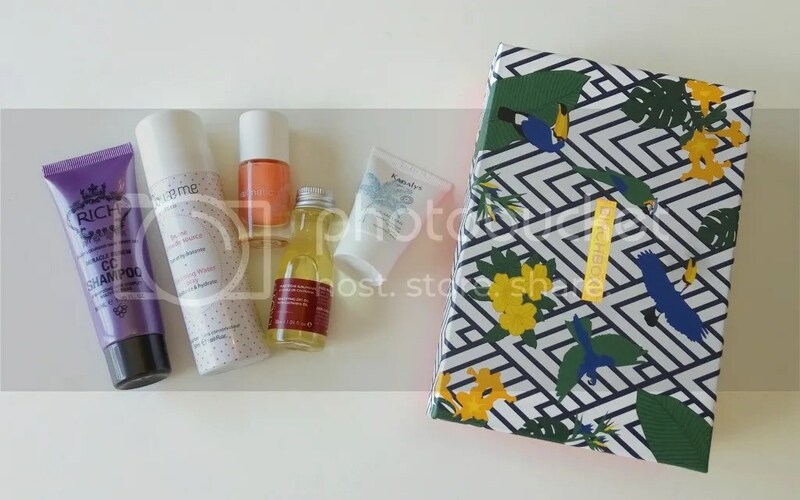 What do think of this month’s Birchbox?